Last summer, I was able to cross a music festival off my life list. It’s in a little town called Atlin, in Northern BC, population 450. In my early twenties, some friends of mine moved up there. The place had a reputation for being incredibly beautiful. A lovely place, nestled in a glacial valley, with a fantastic music festival. During the weekend, I made a classic mistake. Early on the Sunday afternoon, I was at the mainstage watching a really great young band. They had well-written, memorable songs, a serious groove and tasty arrangements. When the set finished, I went over to the cd tent to get their disc. I didn’t have program with me, so I wasn’t sure of the band’s name. The cd store staff pulled a disc of the rack and said, “This is them”. I paid for it and put it my jacket pocket. At the party that night, I ran into the keyboard player. We talked about mutual acquaintances and made musician small talk. As we headed off to different parts of the room, I pulled the cd out of my jacket and said, “Great show this afternoon, I bought the disc”. She cocked her head and said, “ That’s not our disc, we are Good for Grapes”. Unfortunately for me, they had sold out of cds. I had to content myself with looking for their video’s. Like all good BC bands, their formative moment came while on the BC ferries. They were a group of friends, sitting on deck, trying to write some tunes. Word spread that there was a live band playing on board and people began to gather. Given that they had a very large interested audience on hand, they threw together a set and wowed the crowd. Since then, they have been darlings of the band scene in Western Canada, racking up awards and prizes. What attracted people then, and what keeps their fans coming back, is their sound and their energy. Their songs are full of the muscle of the mountains and the mystery of a low fog. More folk than pop, they play with a great stand-up energy. When they take to the stage, you can just feel that there is a good party about to happen and they don’t disappoint. The six members operate as a cooperative unit—there are no divas. Daniel McBurnie vocalizes and plays guitar, Graham Gomez, electric guitar and vocals, Alexa Unwin channels the dance energy, plays keys and sings. Alex Hauka bows the cello. Robert Hardie holds down the bass end while Will Watson is on the percussion. They are a folk big band sound with a classic West coast sound in the tradition of the Hometown Band. It’s energy that separates a mediocre band from a good band. I’ve known players that were virtuosos, but who just couldn’t get through to the audience. While I am on the topics of energy and the West coast, I can’t wait for you to meet the Big Little Lions. The Lions are Helen Austin and Paul Otten. Helen is based in Comox on Vancouver Island and Paul is in Cincinnati, Ohio. Normally that wouldn’t work out too well for a band, but it’s working for the Lions. You may think it’s hard to write coherent, tuneful, lyrically delightful music from a distance of 4,500 kilometres. In fact, you’d be right. It’s not for the lazy or the faint of heart. You need the heart of a lion! The big Lion is Paul, he is well over 6 feet. Helen is the little Lion. She brushes 5’2. They met at a conference years ago on a songwriting panel. Helen had musical career in the UK before coming to Canada and Paul’s songs found regular placements in film and television. 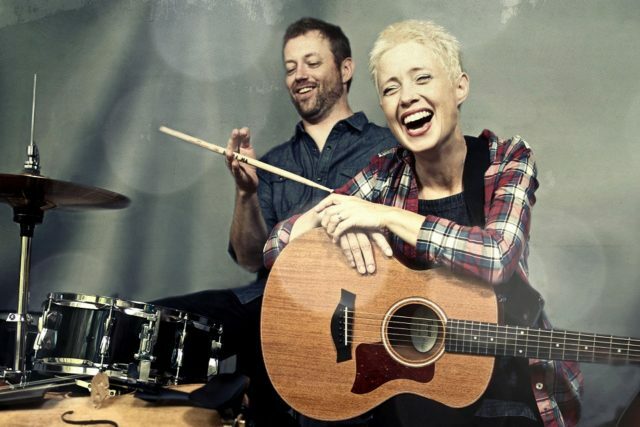 Helen was writing kid’s music and had Paul produce a record for her that went on to win the Juno for children’s music in 2014. Helen and Paul realized, though, that they had something special. They began writing at a distance and discovered one of those rare partnerships where the whole accentuates the parts. It’s got a decidedly pop feel, but was roots enough to win them the Ensemble of the year at the Canadian Folk music awards in 2014. The song “ They Know my Name” is like a song that a railed Dahl character would sing. These monsters are hiding within my brain, they roar and they shout and they know my name. The lyrics are heavy, but Helen’s wispy, sweet voice is the aural equivalent of innocence. Her voice is the bright light illuminating the darkness. While Helen is doing the singing and strumming, the musical monster is Otten. He’s playing drums, piano, bass pedals, laying down a rhythm and a groove behind that vocal that turns the song into an upbeat danceable anthem about learning to live with your monsters. They are a joy to listen to and great to watch. 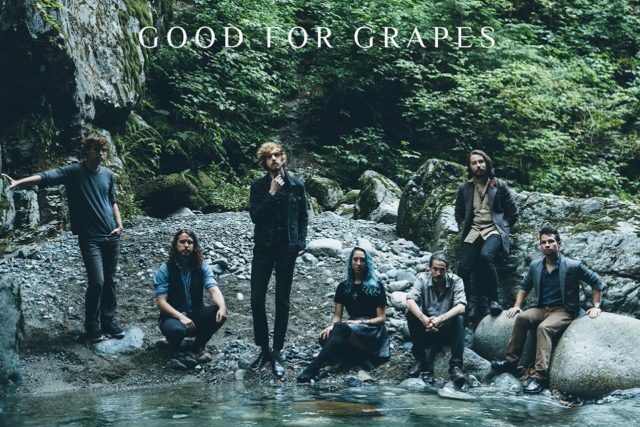 Good for Grapes and Big Little Lions will be with us at Summerfolk for the first time. You can find bios, videos and links for all our performers on our website. The 41st Summerfolk Music and Crafts festival happens at Kelso Beach park August 19,20,21 2016. Advance tickets are on sale until July 31st. Tickets and information can be found at summerfolk.org or by phoning 519-371-2995.